Yes, it’s amazing what our imaginations can dream up before technology can make it happen. I say this because when I let my imagination run wild during my Adventures of Johnny Rawkwriter experiment I wrote about the first concert in space where the venue would allow you to re-experience or venture back to shows you didn’t experience via holograms that were so lifelike that you could feel, see, taste and hear everything, as if it were right there in front you. After watching the video of Tupac performing at Coachella as a hologram, I’m thinking that we’re closer to the first concert-in-space experience than we might realize. That said, I’m going to re-visit my story and write a second chapter about a secret location on Earth where we were testing the technology before we headed in to space to unveil it. Besides the futuristic sci-fi possibilites, I also thought about the emotional elements that made this Tupac hologram so alluring and intriguing to explore. Why Did Fans Love This? We know what happens to our emotions during concerts and one of the biggest drivers to that emotionally-charged experience is nostalgia, awe and mystery. Three things that have been at the heart of this Tupac hologram story. Fans who saw Tupac when he was alive likely got a big shot of nostalgia as memories of his live show and love for his music came rushing back. I imagine those fans wanted to re-experience those moments and this hologram gig allow them to do so, if only for five minutes. And I’m surprised some fans didn’t rush the stage to try and give Tupac a welcome back hug. Then there are the fans that never got the chance to see Tupac live and this Coachella gig was a chance for them to do so, even if it wasn’t really him, it was the next best thing. What Was Snoop Dogg Feeling? From the artist perspective, I watched the video wondering what it must of been like for Snoop Dogg to be on stage performing with the virtual Tupac. Was he freaked out, happy, or excited? Probably a mix of both. And I imagine he probably felt a mixed rush of grief and mourning rise up in him as he had the chance to perform again with a friend. The next thing I thought about was our recent exploration of the Japanese virtue artist Hatsume Miku who performed via satellite for the first time to American audiences. It was amazing to explore how concert fans respond to a completely virtual artist. We figured Hatsume Miku wouldn’t be last time we’d see something like this, and after the Tupac gig, that’s pretty much been confirmed. So will we eventually see Tupac perform live with Miku? Or as some fans commented on the YouTube video, will we see a holographic battle rap between Biggie and Tupac? 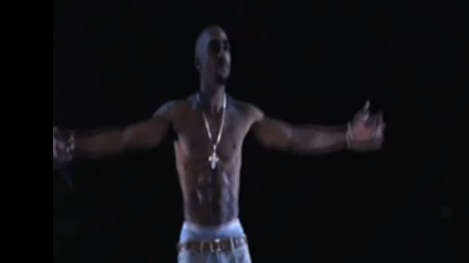 Was the Tupac hologram more creepy or innovative? Would you pay to see your favorite dead artist re-born as hologram live in concert? What artist would you want to see perform as hologram? How does this change the live concert experience? What does this reveal to us about what goes on in our minds and hearts during concerts? During concerts, how much are our emotions driven by powerful subconscious associations to nostalgia, longing, happiness and grief?